The #thisisbuffalo events highlight Ellicott Development & Ellicott Hotels’ #thisisbuffalo campaign. This interactive hash tag generates buzz on the latest news and events showcasing Ellicott Development and Ellicott Hotels in the Buffalo community, active at our Summer Happy Hour Series & A City of Buffalo Artists Markets. 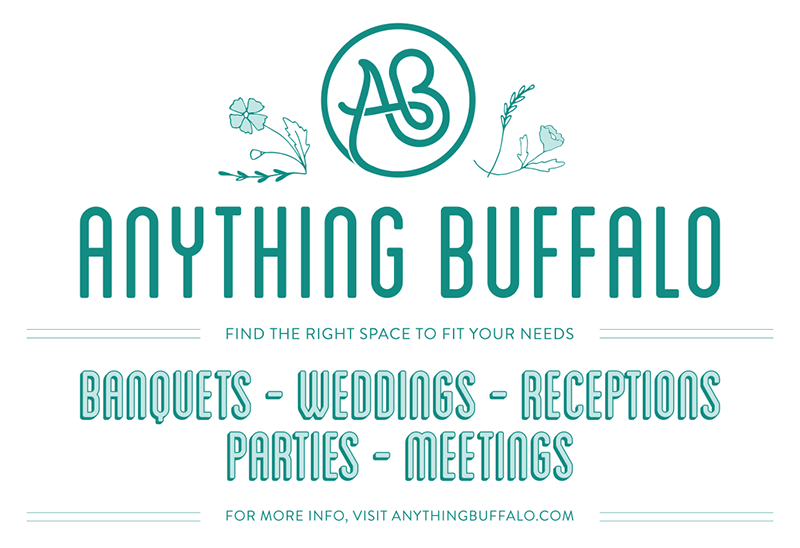 Watch for #thisisbuffalo on social media! Ellicott Development hosts two Artists Markets in the Ellicott Square Building each year. One in the winter during the holiday season featuring the 30-35 feet tree (different every year and always beautiful) and the other market during the springtime to help support local businesses year round. 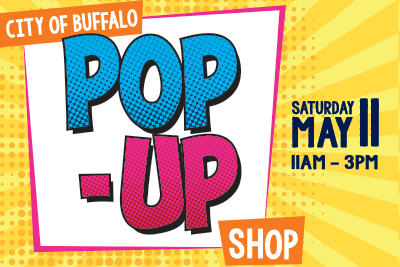 Rise and shine on Saturday, May 11th to attend the A City of Buffalo Pop-Up Shop: Spring Edition. Spring into spring with this special event that invites guests to brunch and browse over 50 local vendors offering a variety of unique and special crafts, food, and art, all in one location while listening to the live music. Did you know? 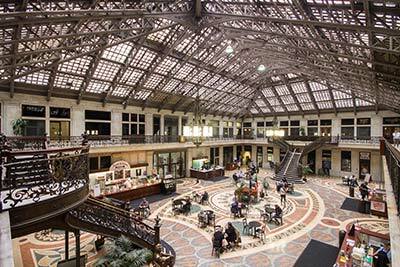 The Ellicott Square Building was known as the largest office building in the world at the time of completion in 1896 – featuring 299,000 sf of office space. Rent the lobby for events/photos. Renting space just got easy. With spaces big and small Anything Buffalo helps you find and book space for any idea and price point. More than just meeting space, Anything Buffalo brings your idea to life. Think pop up shops, rooftops, catwalks, birthday parties, wedding, “anything” you can dream up. Every idea gets matched to a team leader who will help you tailor your space. Ellicott Development has a number of locations spread across Western New York that are perfect for meetings, events, social functions, team building and retreats. Browse our properties that are available to rent.